About eight years ago I had the privilege of visiting and attending Bethlehem Baptist Church for a short time. 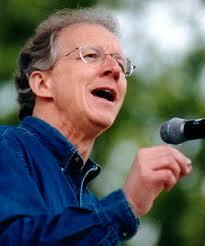 BBC is where John Piper serves as Pastor of Preaching & Vision. I was an undergrad student at a university that had a significantly different theological position than that of Bethlehem. In fact, I was instructed by several to keep my distance! What can I say, I was a rebel with a cause 🙂 While some may not agree with Piper on everything, one can’t overlook Piper’s influence in today’s evangelicalism. Anyway, fast forward three years and I was more or less on my way into Reformed Theology, so my appreciation for Piper continued to grow. I realize that it has become extremely fashionable to like Piper. Heck, Mark Driscoll even wrote why he loved John Piper, and I’m told that Mark Driscoll is cool (is being cool still important?). But there is something about Piper that is to be commended that goes beyond the scope of what’s currently “hip.” He is so overwhelmingly consumed with the glory of God that it is intoxicating! Listening to Piper talk about God’s glory and how much God’s purpose to be glorified permeates the Scriptures makes me want to glory if God more and to seek out His glory in every sphere of my life! Quite frankly, Desiring God was instrumental in causing me to better understand the radical call to glorify God by enjoying Him forever. I’m certain this is true for the lives of many, many other people (cf. the majority of the 111 reviews on Amazon!). So, while I know it’s the “in” thing to like Piper, I liked him before I even agreed with him and now that I agree with him I like him even more! On a theological and exegetical level, once I read The Justification of God, I was an official “fan” of Piper (I really dislike the way that sounds, but you get the point). Thesis 1: My all-shaping conviction is that God created the universe in order that he might be worshipped with white-hot intensity by created beings who see his glory manifested in creation and history and supremely in the saving work of Christ. Thesis 2: I am also persuaded that people need to be confronted with how self-exalting God is in this purpose. Thesis 3: I press on this because I believe that if we are God-centered simply because we consciously or unconsciously believe God is man-centered, then our God-centeredness is in reality man-centeredness. Teaching God’s God-centeredness forces this issue of whether we treasure God because of his excellence or mainly because he endorses ours. Thesis 4: God’s eternal, radical, ultimate commitment to his own self-exaltation permeates Scripture. His aim to be exalted glorified, admired, magnified, praised, and reverenced is seen to be the ultimate goal of all creation, all providence, and all saving acts. Thesis 5: This is not megalomania because, unlike our self-exaltation, God’s self-exaltation draws attention to what gives greatest and longest joy, namely, himself. When we exalt ourselves, we lure people away from the one thing that can satisfy their souls—the infinite beauty of God. When God exalts himself, he manifests the one thing that can satisfy our souls, namely, God. Thesis 6: God’s pursuit of his glory and our pursuit of our joy turn out to be the same pursuit. This is what Christ died to achieve. “Christ also suffered once for sins, the righteous for the unrighteous, that he might bring us to God” (1 Peter 3:18). When we are brought to God as our highest treasure, he gets the glory and we get the pleasure. Thesis 7: To see this and believe this and experience this is radically transforming to worship—whether personal or corporate, marketplace or liturgical. Be sure to read the entire paper. It’s very fascinating. This was interesting reading. At first glance, I wasn’t sure I agreed with some of the answers to his questions in Thesis 2, but then I came to Thesis 3. I’ve never really thought about God loving himself. Still not too sure about that, exactly, because his thoughts are higher than our thoughts and his ways higher than our ways…so he doesn’t necessarily operate according to our ideas of how he operates. However, getting past all that, I think it’s rather cool to think that, if God loves himself that much, then we don’t have much excuse for hating ourselves or treating ourselves badly, as so many of us do. That is, if we take Him as our example, anyway! I also really liked Thesis 5. I agree with Piper that, above all else, God desires to be worshiped. One question that came to mind as I was reading: Does God need our worship? I liked Piper’s subject right away! A few years back again to my reference of the word concerning TCF and the promise of a pastor included that his(God’s) Name would not be taken off this (TCF) place. I believe he was saying that this would be a place that brings him glory. To me that is TCF’s ultimate goal. Others may or may not remember me speaking about this but it is many times my prayer for TCF. It should be the ultimate goal for every Christian. Everything we do should be as unto the Lord. Why? To bring him the glory. You make an excellent point though regarding the practical way this affects us! If God loves Himself than we can certainly imitate that, especially in light of the fact that Jesus said that “You shall love your neighbor as yourself” (Matt. 22:39). If we can’t even love ourselves, how can we love others? My answer: no. I do not believe God needs our worship in the sense that He cannot function without it. To imply that God depends on His creation is a bit to much for me to agree with. In fact, when I hear popular Charismatic voices express this idea that God absolutely needs our worship and can’t function without it, thus giving us the impression that God is not really sovereign, I tend to get sick. Yet, the Scriptures clearly indicate that God desires our worship. “Desire” and “need” are different, as near as I can tell. I desire things that I do not need. God seems to be the same way. If God needed worship than I’m afraid He needs something that He does not get nearly enough of (IMO). Good question though. What do you think? Anyone disagree? Agree? Perhaps you’d state it differently?!?! Donna, Piper is absolutely fantastic. I probably own… well, just about all the books I can think of. As I stated earlier, his book Desiring God was so influential to me. It more or less set the standard for me to really grasp my purpose and how my purpose related to God’s glory. Buy it. Read it. Live it. Read it more. Live it more. Pass it on. John Piper balances being a Scholar and a Pastor very well. I too have benefited from his books and I’m really looking forward to his upcoming book “Finally Alive”. People are saying it is his best book. It’s on my Christmas list! We are created in God’s image therefore this idea of God loving himself makes sense though I don’t think I’ve ever heard or read about God in this way. Loving our neighbor as ourselves also came to mind, but what about satan’s desire for glory for himself? I know that’s sin. Isn’t there a healthy balance somewhere in loving ourselves so we can love others? Did satan love himself way too much? Certainly that happens to mankind too. I listened to a Piper sermon and really liked it. Why is the idea that God loves himself so controversial? Am I missing something? P.S. I didn’t mean that to sound like disagreeing with the idea meant that you were stupid! Sorry it came across that way. I’m just trying to understand this better. Thanks! Since we are taught that pride is bad, that leaves one to ask if God is prideful, and if He is, is there anything wrong with Him being prideful? Luke, I liked what you said about God not “needing” our worship. It was just a question that popped into my mind as I was reading the article. I didn’t think it was right to think of God as “needing” our worship either…and perhaps that is another example of man-centric worship such as Piper was describing. Definitely some interesting things to think about!